Your mattress is one piece of furniture with which you spent some eight hours every day. Naturally, it should be in excellent condition enabling you to spend quality time on it. A clean mattress is also very important if you consider the health hazards that might develop if it is not so you may shudder hearing that the average mattress can contain 1.4 kilograms of hard and dead skin flakes! Moreover, there may be all kinds of stains – from water, tea, alcohol, even urine! So dirty mattress is a serious matter and contacting a professional mattress cleaning services should be high on your to-do list. Use a vacuüm cleaner to keep your mattress clean – because vacuum cleaners reduce dust significantly. It takes care of not only dust mites, but other foreign matter that may cause health hazards. Check whether your vacuum cleaner, especially the nozzle and brush attachments, is itself clean, use it to eradicate dust from your mattress and upholstery. Use Bicarbonate of Soda on your mattress – popularly known as baking soda, is a white crystalline powder and is used for deodorizing and cleaning purposes. To give your mattress a fresh look sprinkle baking soda stirred with five drops of essential oil. Give at least thirty minutes to absorb odors. Keep your mattress away from moisture – because it takes long for a mattress to completely dry out. A bit of moisture remaining on the mattress can invite mites, mildew and bacteria. 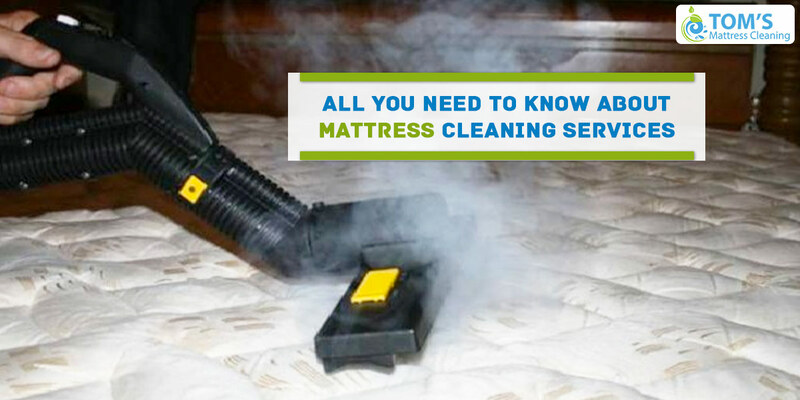 You can take professional help of steam cleaning your mattress but make sure that it is totally dry. Use a mattress protector – some of them are waterproof and designed to give a breathable barrier. But before buying do check out the fabric and whether it has a comfortable feeling because having a good night sleep is important! Seek help from Professionals – there are professional mattress cleaners providing you their services if you are not satisfied with your own efforts. You can take their help. These specialists use modern equipment to clear all germs and their excrement. First apply pre-spray to break the stain and dirt within the fabric. Once they are satisfied with the cleaning they apply special solutions mixed with hot water which keeps dust mites away for over 6 months. A high suction appliance is used to extract the liquid back from the mattress. It is then completely safe for your family. Although it takes 15 minutes for drying some mattress might need steam cleaning and that might take some more time. Professional mattress cleaning services needs to be done twice a year make sure of the health of your family members. How An Old and Dirty Mattress Affects Your Health? Copyright © 2018 Toms Mattress Cleaning All Rights Reserved.